Simplify nest checks and maintenance for your existing Lonestar purple martin house with this Lonestar Nest Tray. 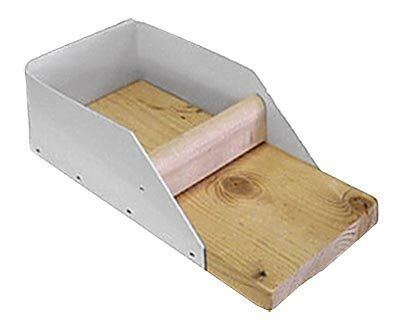 This pine and polystyrene unit easily installs into one of the compartments on your existing Lonestar purple martin house (not included), forming an elevated platform for birds to build their nest. This entire tray removes from the home for cleaning or nest checks, and may be turned around to act as a hole covering during the winter. Conveniently check the martin nests in your existing Lonestar home with this Nest Tray. Made in the USA.